Enkele cijfers die de huidige grote van het internet in perspectief weten te zetten. Net als je eerder ook al kon zien voor een miljard aan baar geld. 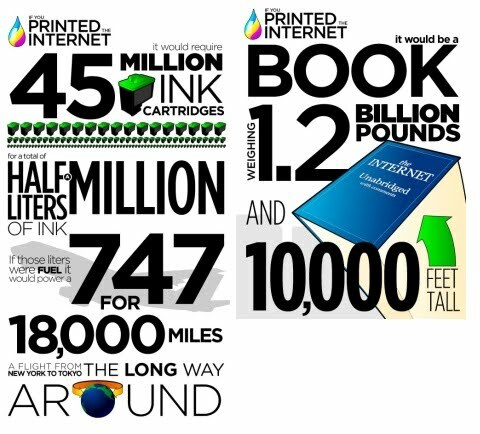 Reading it would take 57 years, 24 hours a day, 7 days a week non-stop and if you read it for 10 minutes a night before bed it would take 8219088 years. 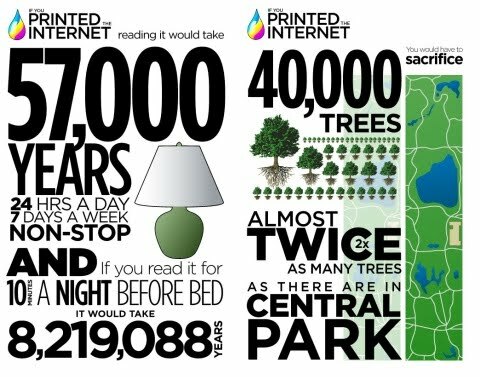 You would have to sacrifice 40000 trees almost twice as many trees as there are in Central Park. 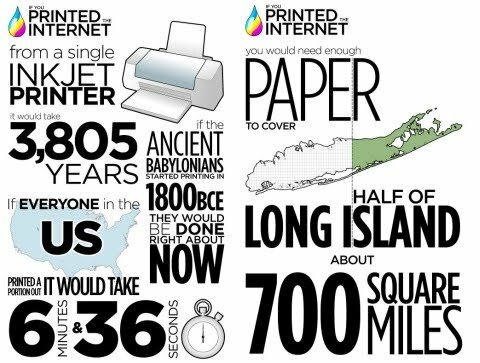 From a single inkjet printer it would take 3805 years if everyone in the us printed a portion out it would take 6 minutes & 36 secondes, if the ancient Babylonians started printing in 1800 BC they would be done right about now. You would need enough paper to cover half of Long Island about 700 square miles.